← More on the parakeets! 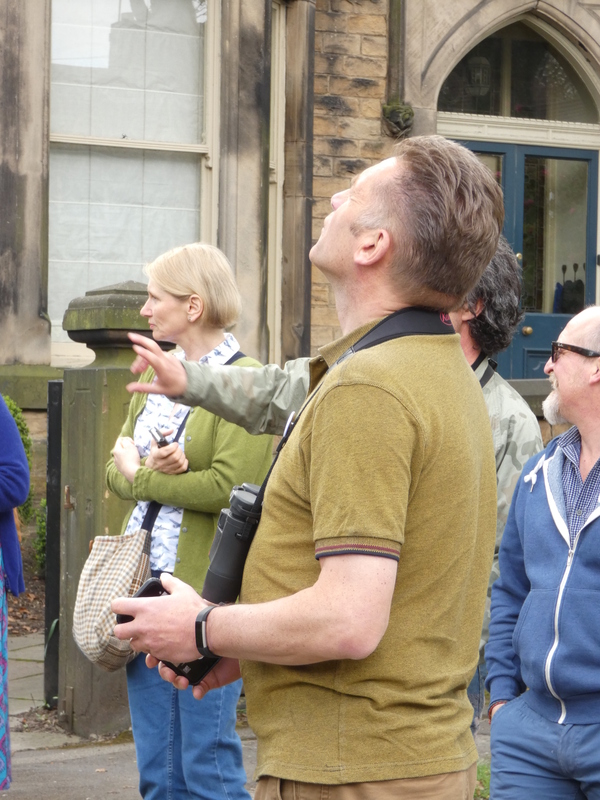 Chris Packham – wildlife expert, campaigner and broadcaster took time out today from a very busy schedule to visit the Sheffield Street Trees Campaign…. 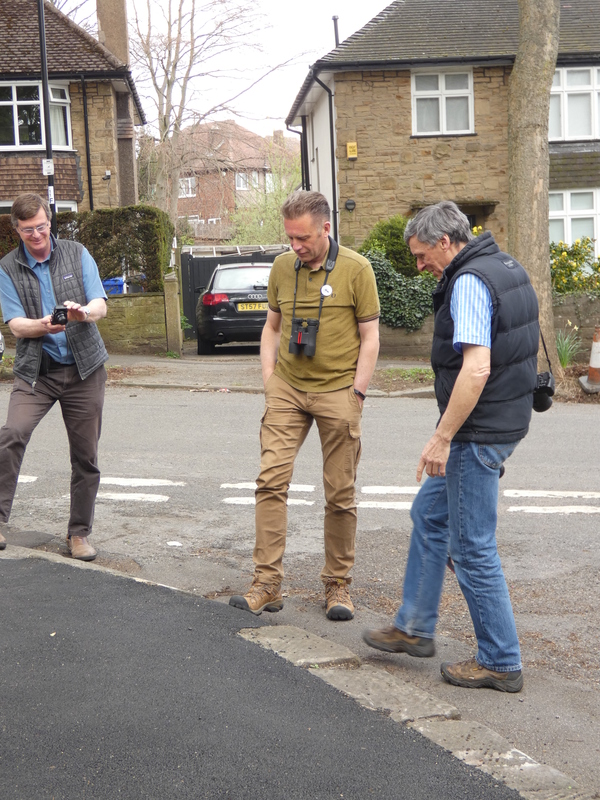 Above with UK tree expert Jeremy Barrell and international authority Philip van Wassenaer, a senior urban forest expert from Canada. Philip stated that none of the trees he was viewing could justify felling rather than, in some cases, a little careful management. Inside the barricades ………! Chris making a serious point. And below – here once stood a great tree………..
And nearby – on a main road – health and safety?? So much for trees causing a hazard – how about this? On 9th March 2018, in response to a demand by the Information Commissioner, Sheffield City Council (SCC) released a redacted version of the £2.2bn PFI highway maintenance contract for the Streets Ahead project. It reveals that SCC have set a TARGET for the contractor (Amey) to fell 200 trees per year with a total of 17,500 to be felled over a 25yr period (67.6% of mature street trees). “The spokeswoman said: […] If, at the end of the contract, a smaller number has been replaced, a financial adjustment will be made. THE COUNCIL HAS NOW CONFIRMED TO THE YORKSHIRE POST THAT NO FORMAL AGREEMENT HAS BEEN MADE TO CHANGE THE CONTRACT AND A SPOKESWOMAN SAID THERE IS NO INTENTION TO DO on the grounds that the current wording ‘provides financial cover should it prove necessary to replace that many'”. Interesting! 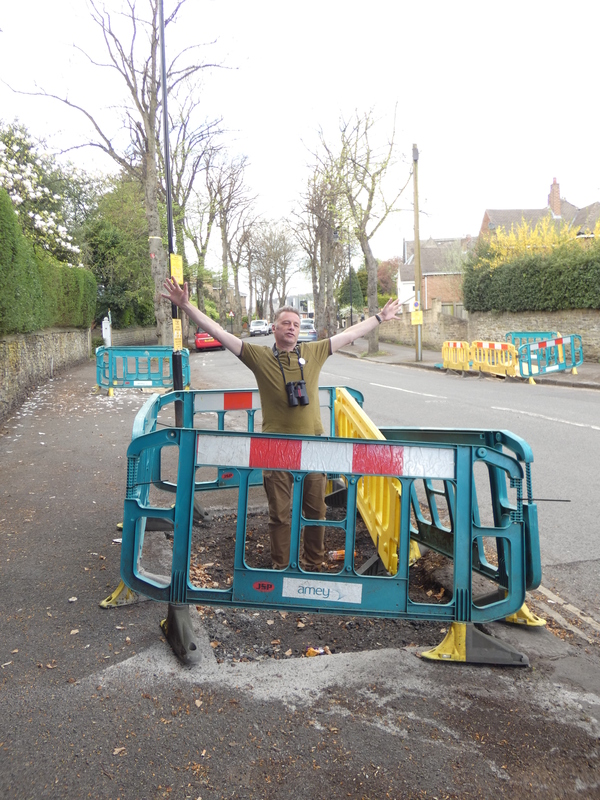 I PUT IN OFFICIAL COMPLAINT TO SHEFFIELD COUNCIL re trees and got response ! Is this normal for Sheffield Council to pass my details to the person I am in fact complaing about ? I asked if response was from SCC and got this reply. “Thank you for your email dated 2 March 2018. I can confirm that I am an Amey employee. For your information, I can confirm that AMEY HAS DESIGNATED POWERS TO RESPOND ON BEHALF OF THE COUNCIL ON ALL MATTERS PERTAINING TO STREETS AHEAD WORKS, INCLUDING THE HANDLING AND INVESTIGATION OF COMPLAINTS. 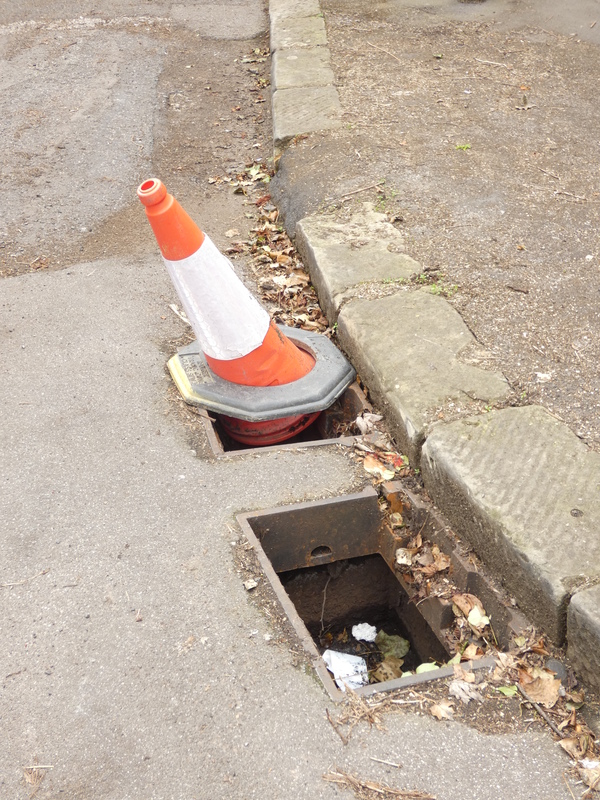 All complaints are handled in accordance with the Council’s Customer Complaints procedure and the Council retains an oversight of all Streets Ahead complaints handled, including this one. I can confirm, therefore, that the Council is aware of your complaint and has reviewed this response prior to it being sent to you. As previously advised, at this stage you do have the right to ask for your complaint to be reviewed by a more senior manager. To request this please contact me via streetsahead@sheffield.gov.uk or by telephone on (0114) 273 4567, giving details of why you are not satisfied and what further action you want to be taken. 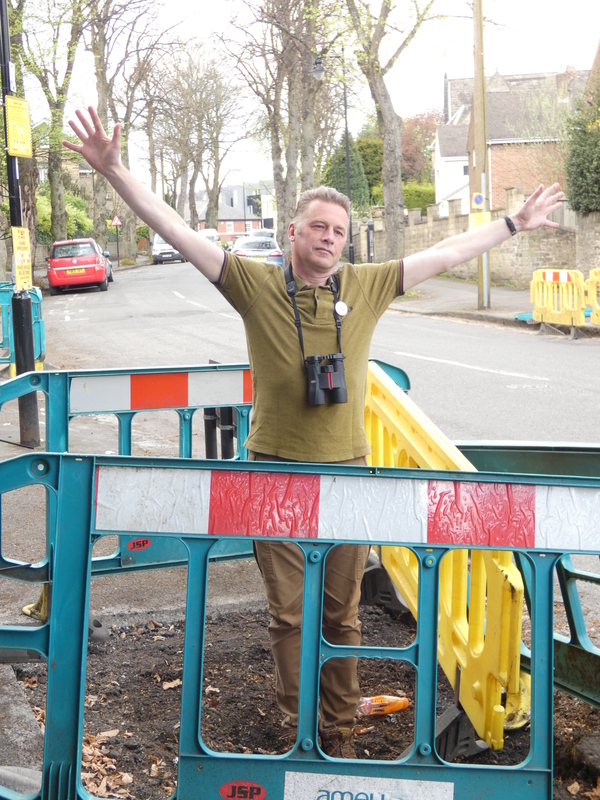 This is, potentially, GREAT NEWS for Sheffield’s street trees, as Mr Willis was arguably the biggest obstacle to positive change in policy and practice that affect highway trees. He was arguably the greatest obstacle to, and opponent of, sustainable stewardship, as defined by The UK Forestry Standard: The Governments’ Approach To Sustainable Forest Management. “Throughout this contract, wood and bi-products such as wood chip have been donated… It is also being recycled… The remainder of the product is sent to the bio-mass market, THE INCOME FROM WHICH IS USED BY AMEY TO SUPPORT THE TREE RE-PLANT PROGRAMME around the city. What is particularly interesting about that is that ALL planting is budgeted for within the contract. Amey are supposed to restock with substitutes for felled trees on a one-for-one basis, and, AT THEIR OWN EXPENSE, restock all trees that die, or are poisoned, diseased, severely damaged or destroyed. 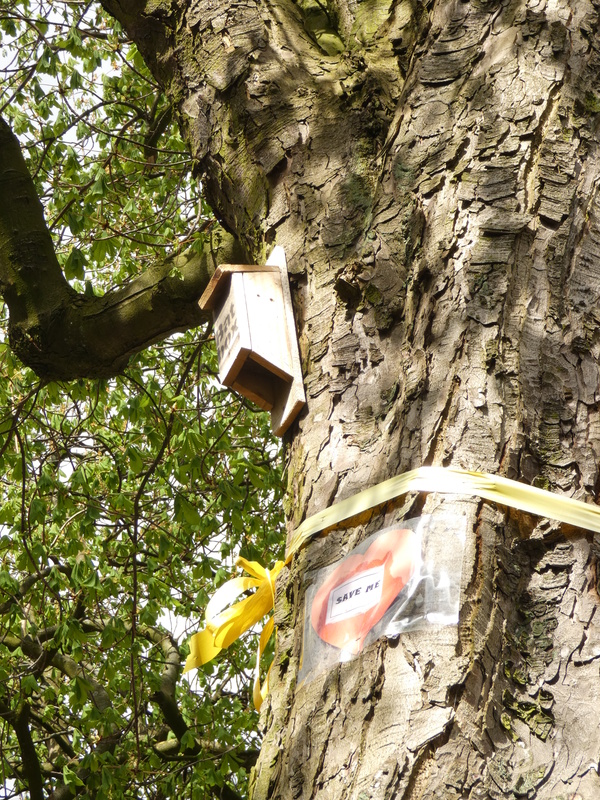 “Sheffield Council this week revealed close to 100 trees had been snapped or broken in the four years since the start of the multi-million pound contract with Amey. The trees – which were planted to replace more mature trees cut down as part of the programme – ALL HAVE TO BE REPLACED AT EXTRA COST. “Amey were interested in setting up a sort of charitable trust to benefit not-for-profit Sheffield organisations. Although we directed them to the right legal people to write the articles of a charitable structure Amey decided not to follow this route. So, the question is: why is the money from logs & woodchip going to Amay, rather than the Sheffield City Council Highways PFI Client Team? On the 9th March 2018, Sheffield City Council (SCC) revealed that the £2.2bn highway maintenance PFI contract includes a target for the felling of 17,500 mature street trees : 67.6% of mature street trees . On 20th March, The Yorkshire Post reported that SCC had informed that it has “no intention” to change the contract to adjust the target number . Large, mature trees contribute significantly more to the neighbourhoods and communities than smaller trees, in terms of the magnitude and value of benefits they provide . [[They improve quality of the built environment; obscure eyesores; provide shelter from extreme weather; slow the flow of rainwater and reduce surface-water run-off; reduce heat reflectance from hard surfaces and parked cars; reduce exposure – of people and infrastructure – to extreme temperatures, and protect verges, footways and pedestrians from vehicles. Our pleasure in enjoyment of their beauty, and in the range of associated wildlife, enhances our health and wellbeing and reduces the NHS burden. The human mortality rate and respiratory diseases are reduced, as crowns filter harmful pollutants from the air we breathe .]] The range of valuable ecosystem services that the canopy cover of a tree population affords to neighbourhoods and communities can be assessed and used in risk assessment and cost:benefit analyses to aid resource allocation decisions . Competent local authorities adopt a tree strategy to help ensure that tree populations within the urban forest (the collective tree cover of the city) are managed SUSTAINABLY, as defined by The UK Forestry Standard . A tree strategy should be used to guide and inform policy and decisions that affect trees, to help ensure that acts and omissions are, BALANCED, PROPORTIONATE, ADEQUATE, AUDITABLE, DEFENDABLE, AND NOT UNDULY INFLUENCED BY TRANSITORY OR EXAGGERATED OPINIONS, whether formed by the media or vested interests . A tree strategy that incorporates current good practice guidance and recommendations is the most appropriate way to help ensure the prudent, rational stewardship and use of public resources, and to SAFEGUARD AGAINST UNNECESSARY, AVOIDABLE, REASONABLY FORESEEABLE DAMAGE, LOSS AND ENVIRONMENTAL DEGRADATION . Unfortunately, Sheffield City Council has neglected to fulfil its 8yo policy commitment to have one – hence its costly errors . “We had an independent survey done in 2006-2007 which helps us inform our priorities for the formation of the contract…”. TREE MASSACRE – A FEW FACTS. 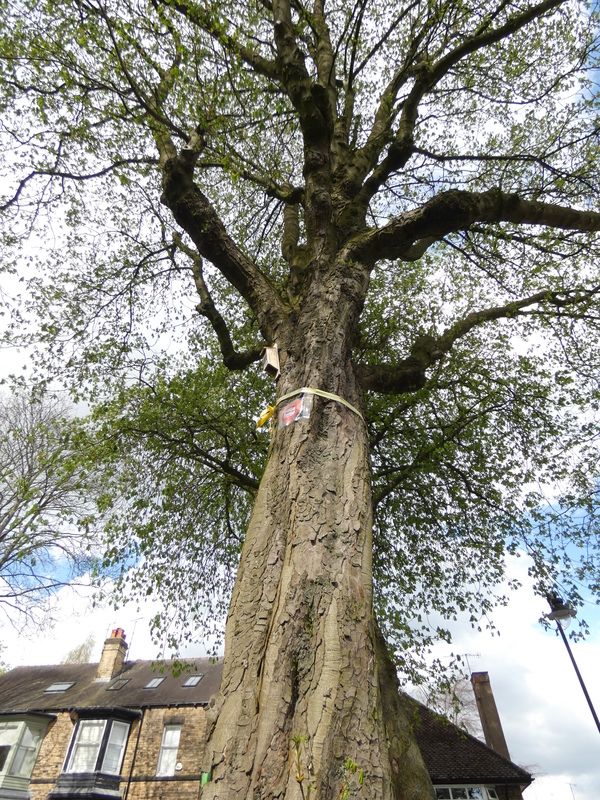 In the absence of facts, people that oppose the efforts of Sheffield Tree Action Groups often hypothesise that Sheffield City Council must make a choice between the retention of thousands of healthy, structurally sound, mature street trees and cuts to Council services. To dispel fear and combat ignorance, I hope the following facts are of some help. ‘So, our underinvestment and underfunding left us with a number of DEAD, DYING and DANGEROUS trees. …THERE WERE 1,200 TREES THAT WERE WITHIN THAT CATEGORY. So, Amey identified those trees and addressed those first. In response to a 140 page letter from SORT, dated 29th January 2016 [[(distributed on 1st February, 2016, by SCC, to every Councillor in the city, as a petition hand-out)]], on 2nd February 2016, Amey released a contract document  which they claimed had been kept secret because it was “commercially sensitive”. The document lists 25 the ideas that Amey claim consider for use – as a substitute for alternative highway engineering specifications – to retain mature street trees. 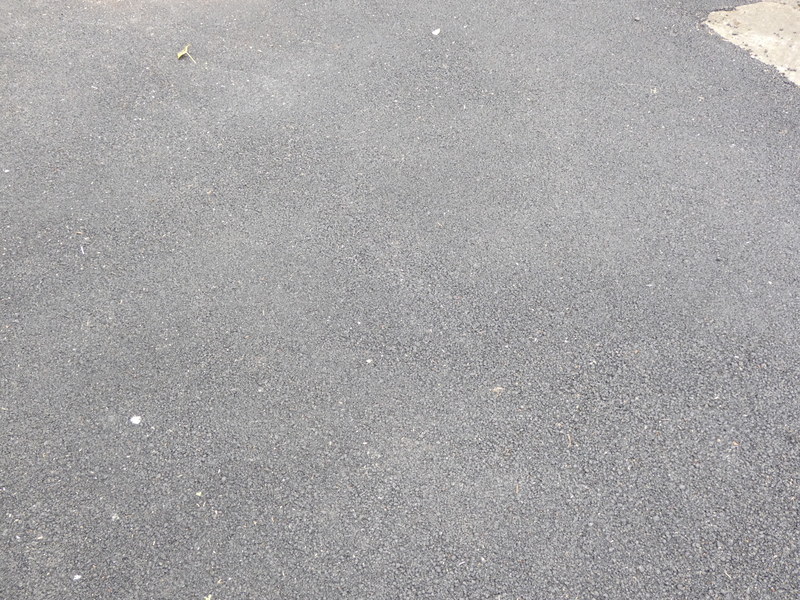 The list includes the “no extra cost” options: excavation; “FLEXIBLE PAVING/SURFACING SOLUTION”; RAMPING/RE-PROFILING; use of thinner kerbs; REMOVAL OF DISPLACED KERBS; pruning (including pollarding); “creation of larger tree pits”. In addition, Amey commit to: ‘MAXIMISE potential CANOPY COVER’, SUSTAINABILITY, and ‘HOLISTIC’, ‘INNOVATIVE’ highway design and management. “UNDER THE CONTRACT THEY HAVE TO FULFIL ANY PROMISE”. “10,0000 signature petition” should be 10,000. Sorry for any confusion. There is no ‘edit’ option on this blog. This is the unedited version. The bits that The Star edited out appear between square brackets. No wonder residents are upset! As SORT point out in their >13,000 signature petition, our highway trees are key component of Sheffield’s green infrastructure; a valuable asset that make a significant contribution to our health and well-being, not least of all through their beauty and our pleasure of its enjoyment (amenity value), reducing health problems and associated NHS costs. In response to MP Louise Haigh’s question about the basis for opposition to the current five years of city-wide felling programme, the basis is set out in the Save our Roadside Trees (SORT) letter addressed to Cllr Fox, dated 14th July, 2015*. The basis was and is also detailed in the SORT hand-out that was distributed to every Councillor on 26th June, 2015, by the Council’s Democratic Services Legal and Governance Resources department. Ms Haigh received a copy of the latter on 25th June, and again on 1st July, 2015. Both documents are accessible online, via Stocksbridge Community Forum (News section). Any city-wide felling programme that lacks a strategic, planned, systematic and integrated approach and that fails to involve communities [(THROUGH A PROGRAMME THAT ENABLES EDUCATION, CONSULTATION AND PARTICIPATION)] is likely to attract criticism from every quarter. The city-wide felling programme will drastically reduce the number of large-crowned trees along our streets, having significant negative impact on the shape, size and distribution of canopy cover along highways, and on the range, magnitude and value of associated ecosystem goods and services afforded by these trees [TO THE ENVIRONMENT, COMMUNITIES AND ALL LIVING THINGS]. These “functions” are the ecosystem goods and services include those that the SORT petition mentioned. Other cities have had these valued and found them to be worth millions of pounds each year. At that time all that we could find (as now) is the now infamous 6Ds policy that Cllr Fox claimed, at the meeting of full council on 1/7/2015, was the city’s tree strategy, presented in its entirety. The Acts of Parliament that the Council quote only place a duty on the Council to that which is reasonable, in ALL CIRCUMSTANCES of the case. SORT Believe that, in fulfilment of this duty, it would be prudent and reasonable for the Council to adopt APPROPRIATE, ADEQUATE, BALANCED ASSESSMENTS TO INFORM DECISIONS and help ensure that they are DEFENDABLE. We believe this would help ensure a sustainable approach and HELP TEMPER A DESTRUCTIVE, RISK-AVERSE APPROACH, provided assessments are undertaken BY COMPETENT PEOPLE using current, widely recognised and accepted, appropriate methods. It would also help ensure that decisions that are based on sound evidence and not unduly influenced by transitory or exaggerated opinions [, WHETHER FORMED BY THE MEDIA, LOBBY GROUPS OR VESTED INTERESTS]. The Save Our Roadside Trees (SORT) petition hand-out that was published in support of the Save Our Rustlings Trees campaign, on 25th June, 2015. The hand-out was distributed to every Councillor in Sheffield, by SCC’s John Turner (Democratic Services Legal and Governance Resources), on 26th June 2015, prior to Council “debate” of the SORT petition on Wednesday 1st July, 2015. The original document was 27 pages. Prior to distribution SORT made amendments and added two more pages. The hand-out is available from SORT or STAG. “A full survey of all highway trees in Sheffield, undertaken in 2007, found the following age distribution across the stock: …YOUNG trees: 1,700… Mature and over-mature trees: 25,900; Total: 35,100.
with younger trees of a more appropriate species for use on the highway. This should help to reduce the incidence of tree root damage to footways and private property. “Streets Ahead is today setting the record straight on a number of myths around its street tree replacement work. “But feelings are running at their highest in Sheffield. The city’s Labour-run council is pushing ahead with its Streets Ahead programme, funded by a Private Finance Initiative (PFI) contract.